Miami Beach 411 > Hotels > 3-Star > Barbizon Hotel in Miami Beach, FL. ¿Hablas Español? This page allows you to find directions, post a comment, read reviews, and check rates at the Catalina Hotel. Rates: Low season from $95. High season from $135. 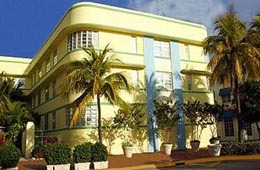 Restored to its original 1937 splendor, the Barbizon All Suite Hotel is located on Ocean Dr., just across the street from Lummus Park and South Beach. Ideal for extended stays, the 35 studio and junior suites feature a queen bed, sofa bed, and fully equipped kitchen. Over-night parking is available at the China Grill garage located at 5th Street and Washington Ave..
Click HERE for Barbizon Lodging Information. • When leaving the Airport, follow signs to 836 East. • Take 836 East to 395 East (Macarthur Causeway). • 395 turns into 5th Street. Continue East 8 blocks to Ocean Dr..
• The Barbizon is on the West side of the street. The Barbizon is located at 530 Ocean Dr., Miami Beach, FL 33139. Use our Miami hotel map to find the exact location. 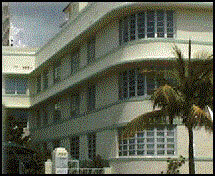 Barbizon Hotel in Miami Beach.Miami hotel reservations.